Many times, designers or furniture manufacturers use images of their projects in advertising campaigns and promotional materials. One example of this type of work are the still images I took for Ornare. Ornare, a luxury furniture builder based in Miami, FL and Brazil requested my architectural photography services to capture a kitchen remodeling project done in the exclusive Fisher Island in Florida by Avant Design Group. 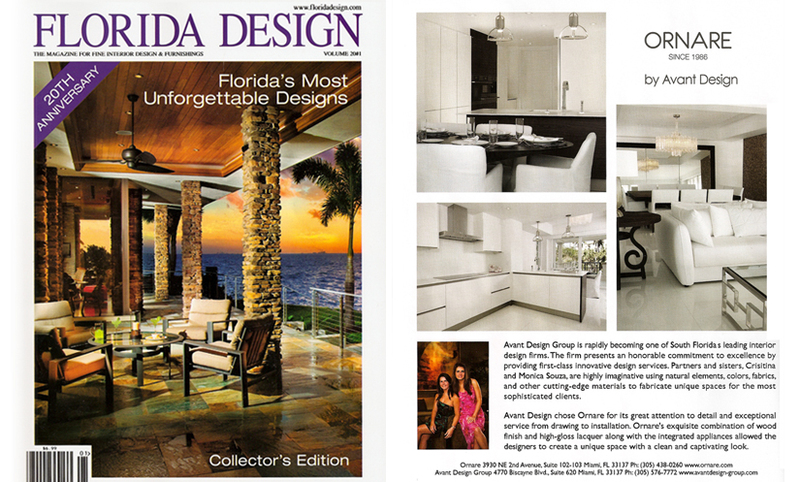 The images were used for a magazine ad in Florida Design Magazine. Ornare is known for offering high-end furniture for bedrooms, living rooms offices and home theaters. In this occassion, Avant Design Group had used Ornare furniture for the kitchen, living room and dining room spaces which were all featured in the ad. Architectural Photographer Kate Sfeir | email. photography@katesfeir.com or call 954-895-6753. Professional photography services in Miami, FL - Boston, MA - New York, NY or to your specific location.